SSMS offers children ways to express their unique personalities, through activities using hands-on materials, language, numbers, art, music, movement and more. 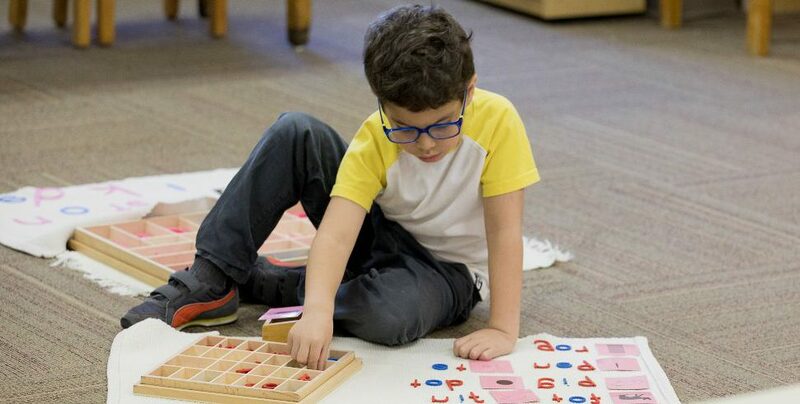 Montessori helps each child develop individuality in a way that accentuates his or her innate intelligence. Students who attend South Suburban Montessori School are those who enjoy life and love to learn. Our students come from every race, religion, culture, and economic status imaginable. The Montessori educational philosophy, its’ practices and SSMS’s values, however, may not be the best fit for every family. Our work is best accomplished through strong support, communication and participation from our parents. We recognize that as a small private school our resources are limited and thus we must be conscientious about enrolling students with learning and behavioral differences. SSMS strives to remain consistent with our core values and philosophy and, therefore, must balance our student population with our specialized classroom practices, our staffing resources and the social climate that has been carefully promoted through programming. We use the overall individual student profile, the current classroom dynamics of our respective programs and family expectations to ensure that South Suburban is the best place for each individual child and family.